Mercy sat on a stool that was too high for the makeshift table. She didn’t care. They could sit on the ground and she’d be happy with Truman. Currently the home had plywood subfloors and open framing, but part of Mercy loved the empty, bare look; it promised that something fabulous was coming. Truman leaned over and poured red wine in the plastic cup by her paper plate. She sighed and buried her nose in her cup. The fragrance was deep and bold, with hints of plum and smoke. “Italy,” she mumbled into the wine. A grin filled his face, and the sensation of butterflies fluttered up her spine. Or maybe it’s the wine. She took a sip of her wine as she studied his face. So familiar and dear to her. A smile to stop traffic. Eyes that crinkled in happiness. Several scars that testified to his love of law enforcement. Her attraction to him was more than skin deep. She was in love with the person he was. He was a natural leader and easily commanded respect. His people turned to him, followed him, admired him. His natural sense of honor was a magnet for her. No. It’s not the wine. He understood how her mind worked, and they fit together like a couple of complicated puzzle pieces. She’d been painfully aware of her missing puzzle piece when he’d been taken away, chained by men planning to kill him, and then rescued thanks to Ollie. The two weeks when no one knew his fate had been the worst of her life. When he’d been returned to her, she’d known she couldn’t waste any more time. He’d been of the same mind-set and had proposed. “I’ll try Italy.” He dished spaghetti carbonara onto their plates. A grin filled his face. “Is Ollie okay after his morning?” she asked with a small wince. She’d nearly forgotten the teen had made the grisly discovery. “He’s been through a lot,” sympathized Mercy. They silently ate for a few moments until he glanced up and caught her staring at him. Longing shone in his eyes, an appetite and craving that had nothing to do with food, and she struggled to find her breath. How does he do that to me? Patience filled his features. “That’s not what I meant.” His brown gaze held hers. “Ohhh,” she breathed as heat flashed through her. “Dessert.” His smile was sinful, and energy pulsed between them. 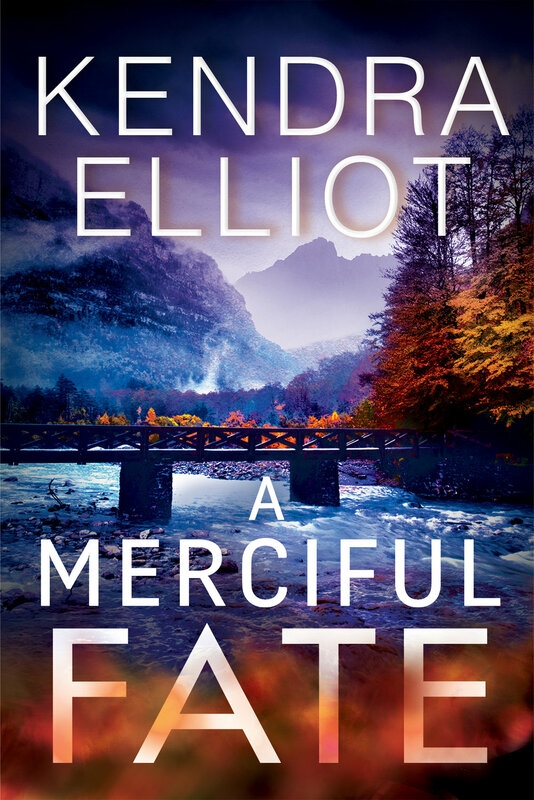 Kendra Elliot has landed on the Wall Street Journal bestseller list multiple times and is the award-winning author of the Bone Secrets and Callahan & McLane series, as well as the Mercy Kilpatrick novels: A Merciful Death, A Merciful Truth, and A Merciful Secret. Kendra is a three-time winner of the Daphne du Maurier Award, an International Thriller Writers finalist, and an RT Award finalist. She has always been a voracious reader, cutting her teeth on classic female heroines such as Nancy Drew, Trixie Belden, and Laura Ingalls. She was born, raised, and still lives in the rainy Pacific Northwest with her husband and three daughters, but she looks forward to the day she can live in flip-flops. Visit her at www.kendraelliot.com.